Dublin was founded in 1810 as a farming and trading village. Substantial development did not occur until the 1970s with the completion of Interstate 270, the construction of the Ashland Chemical Company research and development center, and the establishment of Muirfield Village and the Muirfield Golf Club by Jack Nicklaus. 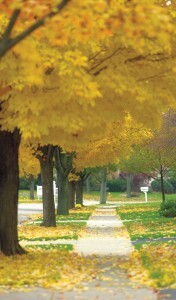 During the 1980s, Dublin was Ohio’s fastest growing municipality. Although growth slowed somewhat in the early 1990s, new home construction continued at approximately 500 units per year and commercial development averaged 400,000 square feet annually. Between 2000 and 2010, Dublin continued to grow at a substantial pace, with over three million square feet of commercial development and over 3,700 new housing units. With more than 24½ square miles of land, and a residential population of approximately 43,000, Dublin is home to approximately 3,000 businesses and has an estimated daytime population of up to 65,000. Dublin remains one of the fastest growing communities in the region. Its national reputation for quality development and the natural beauty of the area have produced the right combination for rapid growth. Strategically located at the juncture of U.S. 33 and I-270, Dublin is a prominent suburban center in the Columbus metropolitan region. Since 2000, significant land masses have been annexed into Dublin along the City’s western periphery. A variety of development proposals have been submitted within northwest and southwest areas of the City that have focused on residential development and retail centers. Planning efforts for the West Innovation District along the U.S. 33 corridor and the Bridge Street District within the inner belt of I-270 will play an important role in the City’s future, with substantial development of additional office and laboratory uses, supported by mixed use commercial centers and walkable neighborhoods. Other areas within the metropolitan region have also developed employment centers and high quality residential development. 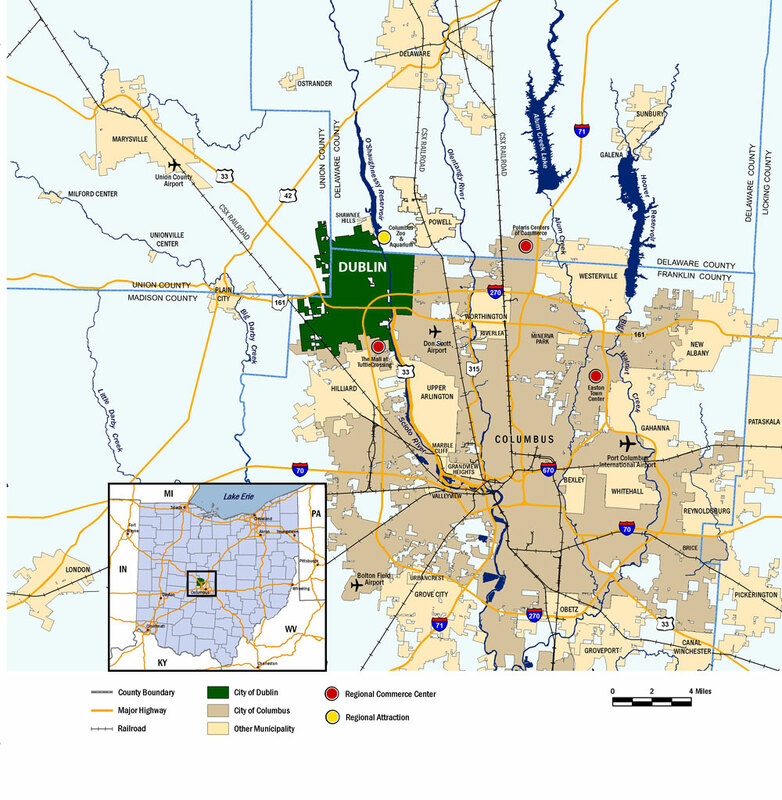 These areas include Hilliard, located to the south of Dublin; Polaris, an office and retail complex north of the I-270 outer belt adjacent to Interstate 71; and New Albany, a master planned residential community and employment center located in the northeastern metropolitan area. Easton Town Center, a large regional mall with significant office development, is located at Morse Road and I-270. Recent trends also show an increased interest in high quality urban residential housing in downtown Columbus and the surrounding ‘inner ring’ suburban neighborhoods. What is the Community Plan?